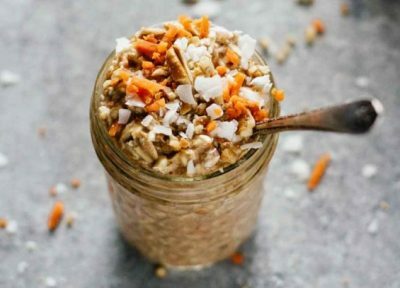 Overnight oats are a wonder-breakfast that are incredibly easy and cheap to make and save you precious time in the morning! 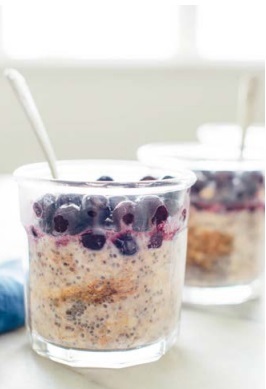 You can make these in a glass jar, so they are easy to take to work if you run out of time to eat beforehand. To make, simply add all ingredients to your jar (or into a bowl/ramekin) and stir to combine. Place in the fridge and leave overnight! If you don’t like your oats cold, you can warm gently in a pan over low heat.